Albanian-American Sherry Pervizaj, 45, a receptionist in the Pelham Parkway area of the Bronx. The Pelham Parkway area is home to many Albanian restaurants that serve authentic dishes such as Sofra restaurant on Williamsbridge Road. 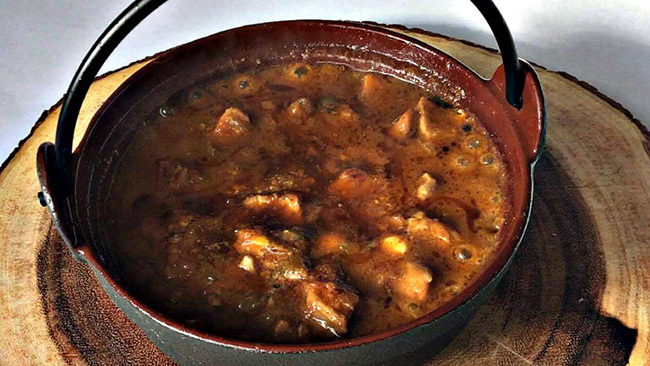 Sofra serves dishes like tave dheu tironse, a beef stew in a clay dish, lamb paidakia, and byrek, a Balkan pie, phyllo dough filled with cheese, meat or spinach. 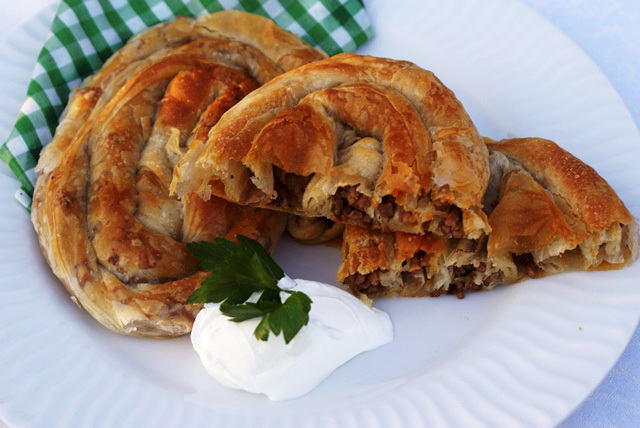 The Albanian Market Corp on Buhre Avenue sells dried ribs and filo dough, used to make byrek. European Fresh Produce on Lydig Avenue sells ajvar, a red-pepper condiment, goat cheese, baklava with pistachios and tulumba, a deep-fried dessert. According to the Albanian-American Society Foundation, New York City is home to over 100,000 Albanians. The Bronx neighborhoods with the most Albanian residents are Pelham Parkway with 4,766, Bedford Park 1,387, Riverdale 998, Co-op City 844, Belmont 538, Wakefield 467, and Castle Hill 238, and many other areas with smaller amounts, according to the 2016 American Community Survey (ACS). Politics and poor economic conditions drive many Albanians to migrate to the United States. “We move to the United States for a better life and a piece of the American dream,” said Kacerri. “We just want to take care of our family.” Albanians in the Bronx keep up with happenings in their community through the Albanian Times. The transportation field is where many first-generation Albanian-Americans work, according to a report by Ljubica Nedelkoska and Nick Khaw for the Diaspora Initiative of the Economic Growth in Albania at Harvard University. But many in the second generation work in the technology and real estate sectors. Around 33.6 percent of Albanian-Americans have a high school diploma or GED, compared to their non-Albanian immigrant counterparts (28.0 percent), according to Nedelkoska and Khaw. Over a third of Albanian-Americans hold a bachelor’s degree or higher (31.9 percent) compared to other immigrants who reside in the United States (29.2 percent). About 60 percent of Albanians are concentrated in a few states like New York, Massachusetts and Michigan. Tina Musha, 40, from Kosovo, works as a cashier at the European Fresh Produce on Lydig Avenue, in Pelham Parkway. She moved to the Bronx from Kosovo with her husband in 2005. “Life is much better for us here and working here in America,” she said. “We are able to eat and put a roof over our heads and also help my mom and dad back in Kosovo, by sending them money when I can. I knew coming here that I would have to work very hard to make it and to help my husband with the bills. That is what I have done for the past 13 years.” Musha says she has noticed more of her fellow Albanians moving to the Bronx. 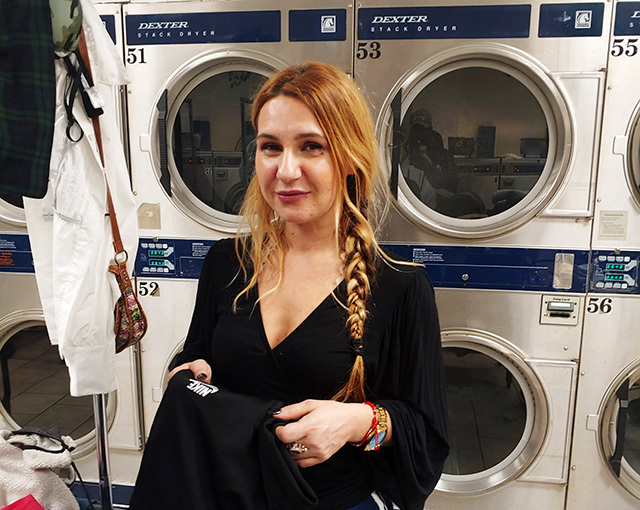 “Almost every time when I go to the market, I run into people I know from Kosovo who have moved here after I did,” she said. American-Albanian Sherry Pervizaj, 45, a receptionist in the Bronx, was born in the United States to immigrant Albanian parents who moved from Kosovo, Albania, in 1970. Pervizaj was born in 1973 shortly after her parents arrived. “I love living in the Bronx now that I moved into a private house, but at first I hated living here because I grew up in an apartment with nosy neighbors,” said Pervizaj. She said she frequented Sofra all the time with her friends and her favorite dish is the tave dheu tironse. “If I had to give advice to someone moving here from Albania, I would tell them to work hard, respect others and take all the opportunities that are offered to them, because nothing in America is for free,” Pervizaj said.